A video has appeared on YouTube showing off a new Headrush product! Although there are no official details yet, guitar forums everywhere are already arguing over what it can (and can’t) do! 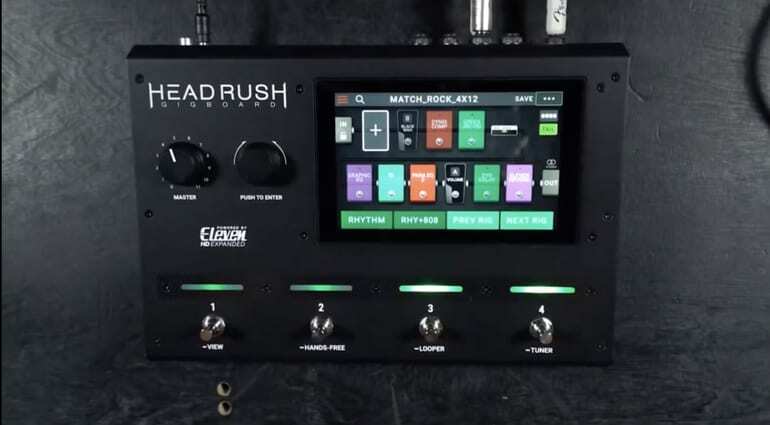 Headrush has just announced its Version 2.0 firmware, slated for release soon. 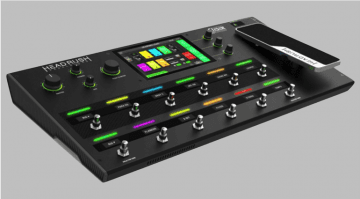 What they have not yet announced, though, is a new product called the Headrush Gigboard, luckily for us, someone has leaked a video on YouTube. Over at TGP Forum, some prospective pricing has been discovered and also photo was taken from the back cover of this month’s Sound On Sound magazine. 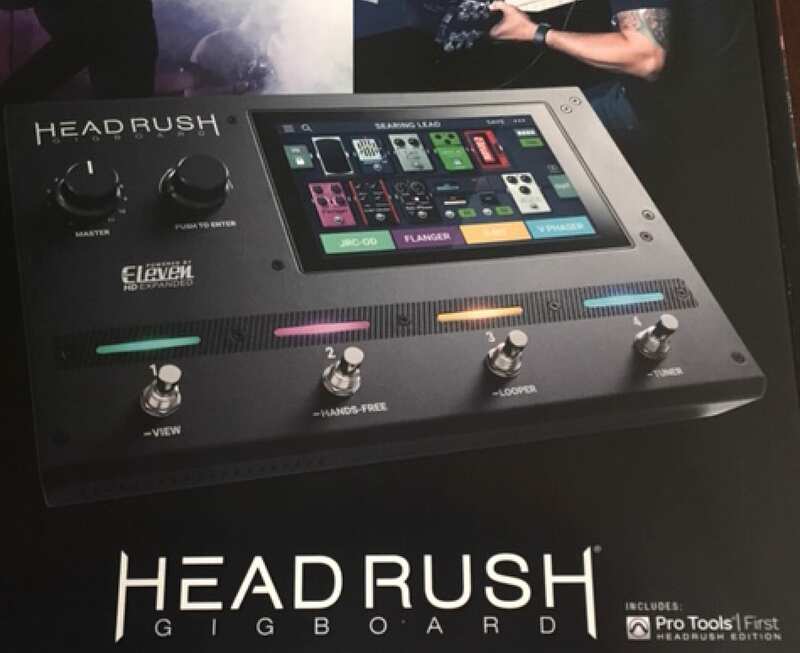 Allegedly “A dealer on Reverb has “New Headrush Gigboard” listed at $699″ according to one post. 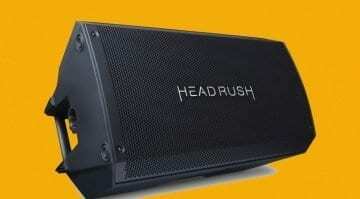 So are we about to get a cut-down in size Headrush? Looks promising! There are four footswitches a large colour display and a Master and Push To Enter control knob. 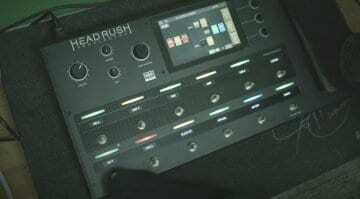 It all looks to be touch screen driven and we assume will have the same sound engine as the main Headrush board. Hopefully, more official details will emerge in the next few days, but for now, at least there is nothing on the Headrush main web site.